A basement conversion can provide your property with more valuable space, which can improve daily life within your home. Also, thanks to contemporary architecture, a basement conversion doesn’t need to be dark and dull but can be a used as a cinema room or even a bar. There are many things which you may need to think about when starting this renovation. This could even be getting a skip or dumpster to help keep all your waste in one area. Companies such as https://mackersskiphire.co.uk/ can help you to find the best skips which, would greatly aid your renovation project. Renovating any part of your home can be a really stressful time, however, here are six things to consider before a basement conversion. Safety should be your first consideration before embarking on a basement conversion. For example, the property will need to offer a stairway that adheres to current building codes. Also, you may need plenty of headroom within the space, and you must seek expert advice on whether moving structural supports will affect the upper floors, or if they can be altered or moved to create more space. 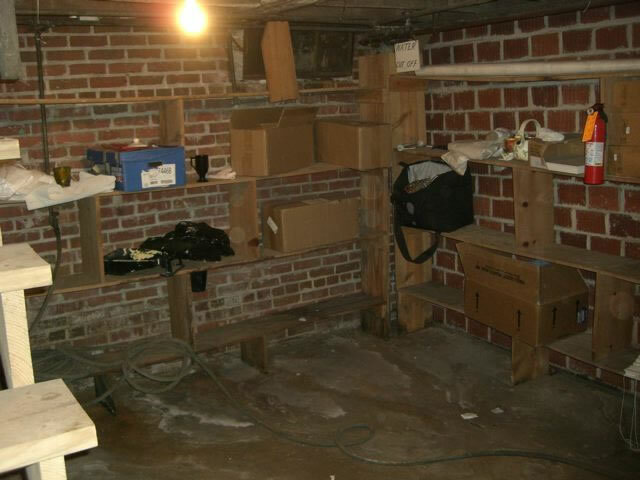 Moisture can be a serious problem in many basements, especially in older properties that do not feature drainage systems or waterproofing, which can keep the basement dry and safe for a conversion. That’s because many older properties were created to provide cool storage areas, so a basement was never designed to be occupied as a living space. If your property experiences seasonal moisture problems, contact an excavation extractor prior to a basement conversion. Once you have considered safety and moisture, you should then identify the requirements of a converted basement, as this will determine the interior and construction costs. For example, if you want to add a bedroom with an en-suite or a kitchen, you’ll need to consider your plumbing, electrical and ventilation needs. However, if you plan to only use the space as a game room, you might need nothing more than new flooring and ceiling finishes. Every homeowner will want to increase their property’s price, so they will receive a better return on their investment if they decide to sell up. If you plan to sell your home in the future, you should identify how much value it could potentially add to your property, so you can make an informed decision before you convert the space. You may need planning permission before a basement conversion, depending on whether it’s being built from an existing room or one that’s about to be built. You may also need consent from your neighbors, unless you live in a detached property, as you will share a wall that could potentially damage their property. As the space will have no direct access to natural sunlight, you will need to identify the best ways to illuminate your basement. Before you embark on a conversion, you should learn about the different ways you can brighten up the naturally dark space. For example, you could add a row of spotlights to make the room appear lighter and brighter using LED Lighting. You could also work with a talented architect on how to use lighting to illuminate a basement. As a result, you could create a room that complements the rest of your home.